Verknipt are set to serve up three days of the most essential parties at this year’s ADE. This will be their fourth annual showcase at the conference and once again they welcome acclaimed international house and techno DJs like Ansome, Gary Beck, Anastasia Kristensen, Luke Slater, Sterac, Claptone, Dennis Cruz, Solardo, Guti, Franky Rizardo, SNTS, Dasha Rush and many more to Amsterdam studios. Each party features three arenas and killer lineups with a capacity for more than 2500 people. 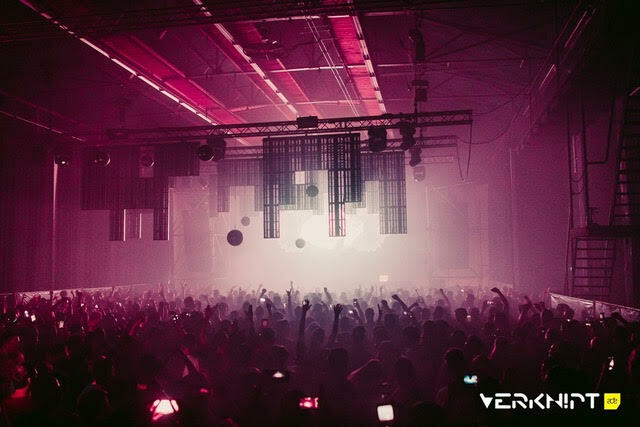 Verknipt is known for their big productions with great light and laser shows and, besides these events during ADE, they host parties all round the country having started six years ago. They also host their own big festival in the centre of Holland, which they sold out this year, and have big plans for 2019 with even more, bigger events coming up. These three days are set to offer everything you need from the worlds of house and techno in a perfectly immersive venue and will really raise the bar once again at this year’s ADE. Moritz Simon Geist releases world’s first techno album entirely played by real robots!